For the last eleven years, children from refugee families in San Diego have enjoyed the adventure of summer camp at Camp Stevens , thanks to your generosity. Please join me and congregations around the diocese to ensure the same will be true this summer! With your help, over 40 refugee youth will experience a week of adventure and fun in the mountains this summer. Please support this vital ministry and help to raise awareness and the $40,000 needed to send refugee children to summer camp! Join the Refugee Campership ingathering this June to support this important partnership! On either Sunday, June 16 or 23 (before and after World Refugee Day on June 20), whichever is more convenient for your congregation, our diocese will collect the loose plate offering for the RefugeeNet -Camp Stevens Campership Drive. Some churches choose to match parishioner gifts and/or give in addition. Please be generous! Funds to purchase camping supplies. $125 per camper will purchase toiletries, a new towel, underwear, socks, and a swimsuit, a flashlight and water bottle, and a duffle bag. The total needed for supplies is $5,000. A transformational week at Camp Stevens. Just $1000 provides full funding for trained, caring counselors; home-cooked, healthy meals; craft and medical supplies; bus transportation to and from the city; and access to acres and acres of open space ripe with adventure for each camper. 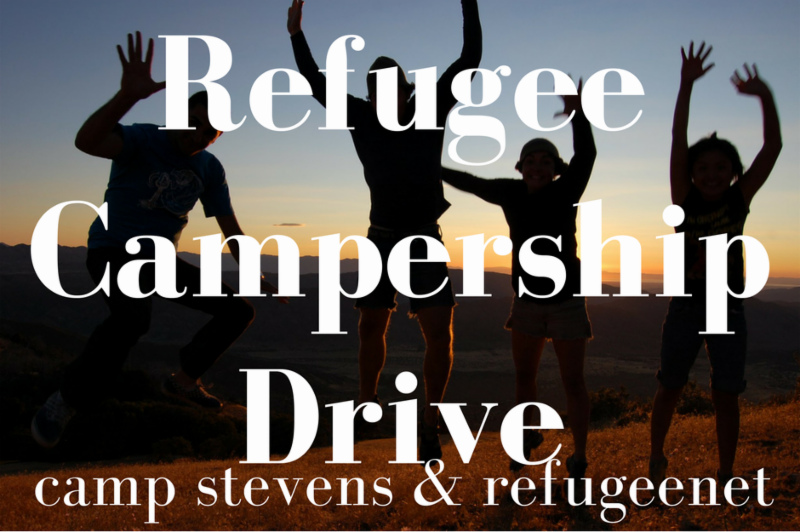 At least 40 refugee children will attend Camp Stevens this summer making the Refugee Campership Fund goal $45,000. How: Host an ingathering; find volunteers to organize your congregation’s efforts; recruit a matching donor; and publicize this event and the opportunity for children in your congregation to attend Camp Stevens. Registration materials for camp were sent previously by mail or you can request additional materials from Kathy Wilder at kathy@campstevens.org. 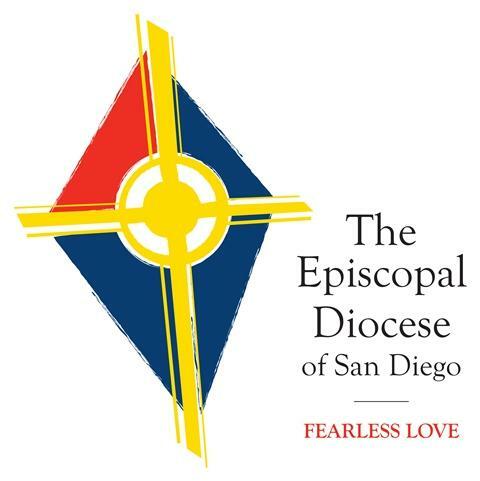 Thank you for your ministry in the Diocese of San Diego and beyond, and for partnering in this important project, which ministers to and with children in our midst. We expect them to be part of our leadership teams in years to come – and some of them already are! June 16, join <this congregation> to provide refugee children with a week of personal transformation and growth in the natural beauty of God’s creation. Your gift in today’s offering plate will provide summer camp tuition to Camp Stevens for 40 refugee children to experience a week of exploration, friendship, and God’s love surrounded by nature. It will also help RefugeeNet provide each camper with a duffel bag, flashlight, bathing suit, underwear and socks, toiletries, and a water bottle. Our goal is to raise $45,000 in collaboration with congregations in San Diego. Your gift will change lives, and it will help to form future generations of leaders!